A South Australian UFO researcher says a dedicated civilian group needs to be established to investigate and report mysterious sightings in our skies. Long time UFO researcher, Keith Basterfield, said the Australian Air Force archived more than 10,000 UFO observations before they halted these records in 1990. A number of keen groups and individuals around the country continued to unofficially collect UFO data, but Mr Basterfield wanted to see these reports brought together on a national level. "There are a number of people who have done this for many years and are quite good at it, but what we're lacking is a national-level perspective of what's being reported," he said. With much mystery still surrounding these unidentified flying objects, Mr Basterfield hoped a more cohesive collection of sighting information could help lead to explanations. "I want to know if there's anything more to the whole subject beyond the 95 per cent that could be explained, and the small possibility of rare phenomena that science still doesn't understand," Mr Basterfield said. 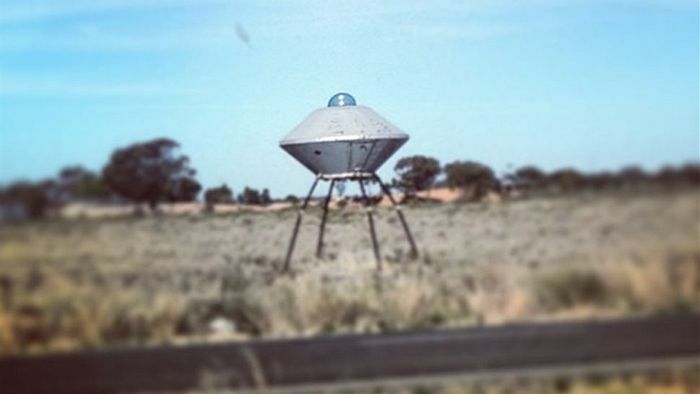 SA's reported sightings range from 50 years ago when numerous unidentified flying objects were seen above the Woomera Rocket Range in the state's outback, to more recent reports from a regional farming community. "I can remember interviewing a farmer in Clare. About nine o'clock in the morning he was inside one of his sheds, walked out, and he saw a metallic sphere-shaped object moving slowly across the sky. "We were absolutely flooded with stories of not only lights being seen but lights floating over the hills up there in the night... and the inability of anyone to explain what was going on." But without a centralised collection point for UFO reports, he said these comprehensive records have reduced across South Australia. "We tend to get brief reports over the internet; but we're no longer getting the very detailed, more interesting cases from regional areas. "Years ago, I used to have colleagues scattered all over the state [who] would tap into regional radio stations, regional TV, regional newspapers, and send in reports from country areas." Mr Basterfield said he would like Australians' attitudes toward UFO reporting to resemble countries like France, where residents confidently reported sightings to local police. "Police officers get out and interview them, take physical trace samples if relevant, and pass all the details to France's equivalent of NASA for analysis." he said. "After careful scientific analysis the French government publishes the details on the internet, making them available to all citizens." He said in Australia, with a bit of dedicated funding and organisation, UFO reports could be managed and shared. "I think what I'd like to see here, and what's practical, is funding from a private entrepreneur, maybe $10,000 a year to look at cases, and then use civilian UFO researchers as collectors of the data," Mr Basterfield said. "But we still need a panel of scientists in the background to take critical scientific analysis and an analytical look at sightings." He said most UFO reports could be explained, but it was the small percentage of unsolvable observations he wanted to further explore. "Even after all my research, at the moment, I'm still at the point of gathering information rather than having answers for people."